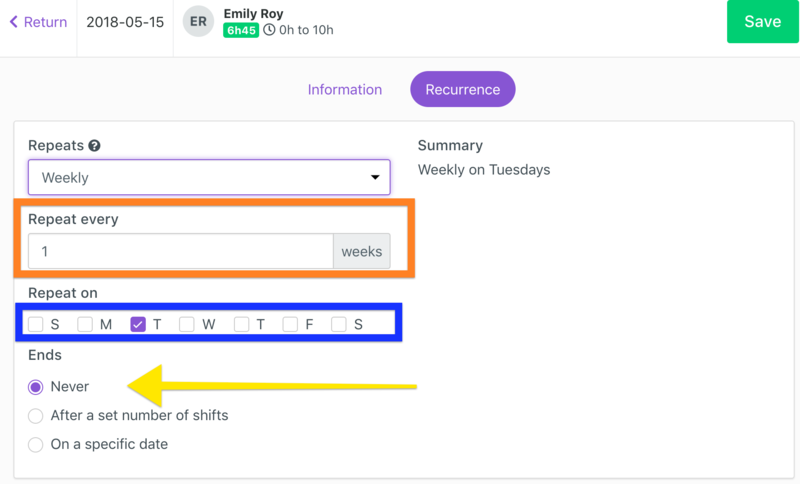 Why use the Recurrence feature? You must first select the shift repeats on a weekly or monthly basis. You can view a summary of the recurring shift you are about to create before saving on the top right corner of the window.